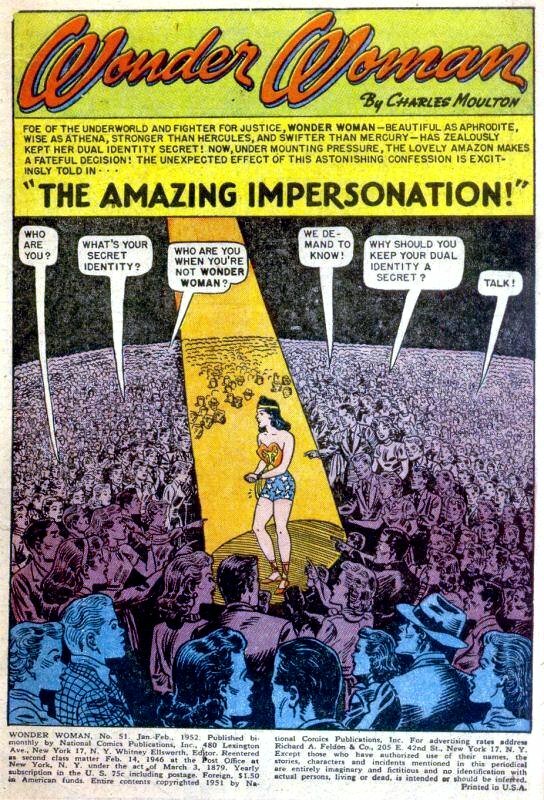 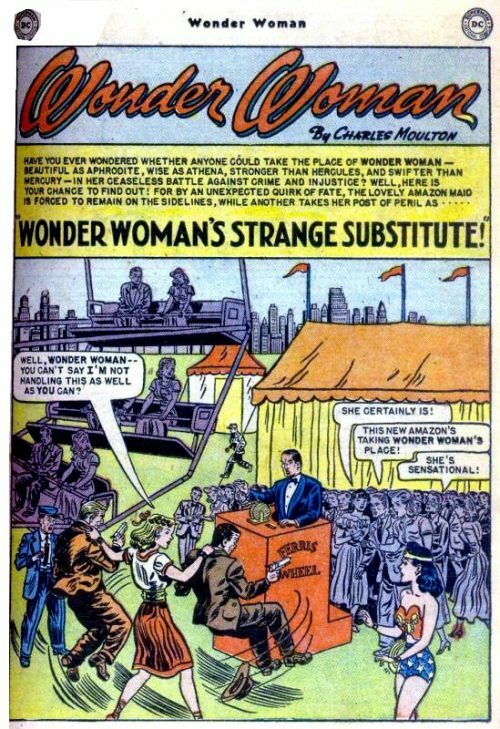 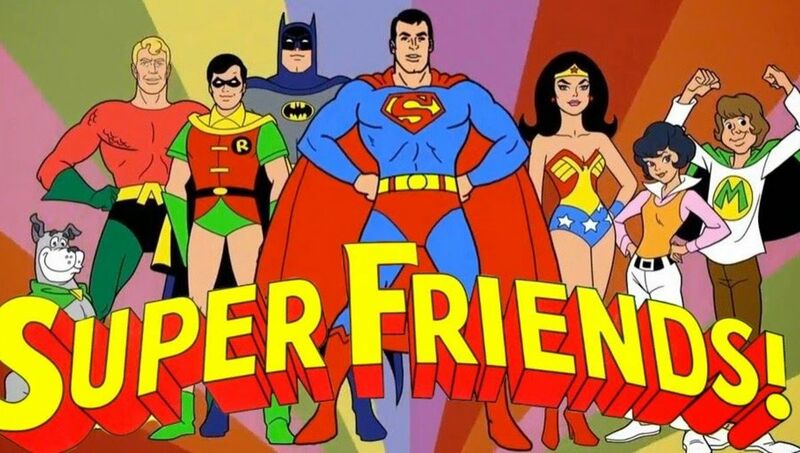 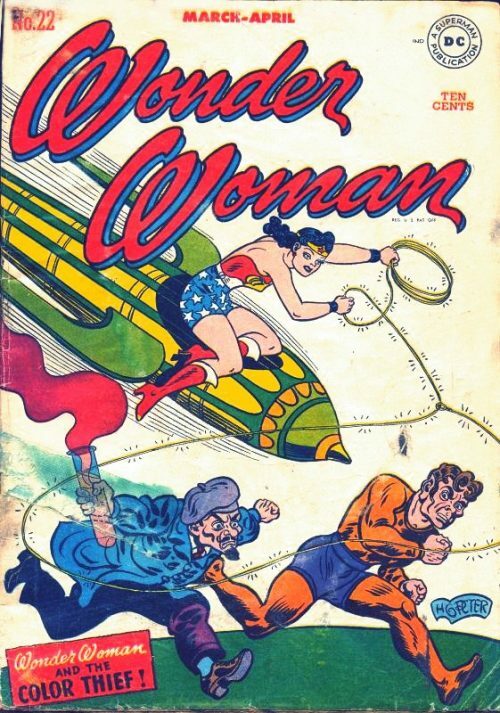 When a newspaper offers a reward for Wonder Woman’s secret identity several likely candidates rise to the fore only to be targeted by the underworld. 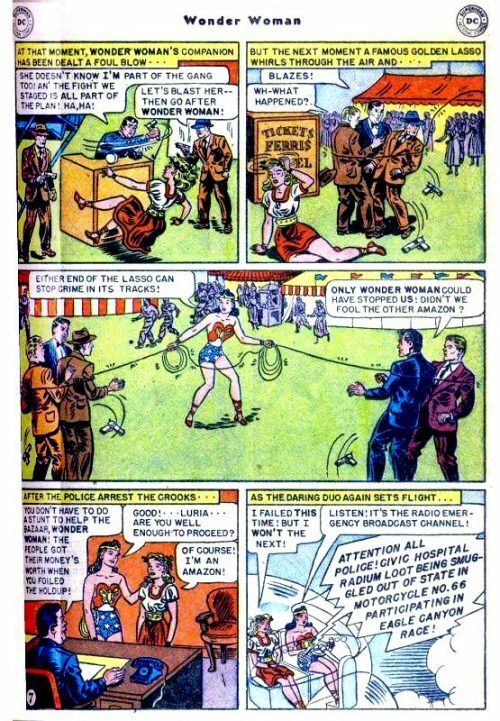 Wonder Woman must find a way to prevent further attacks without revealing her secret identity. 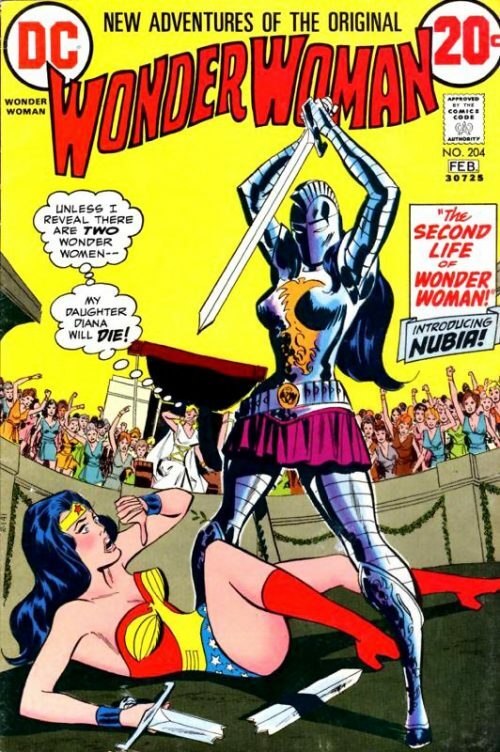 Luria, a young amazon wins a contest which entitles her to have any wish granted. 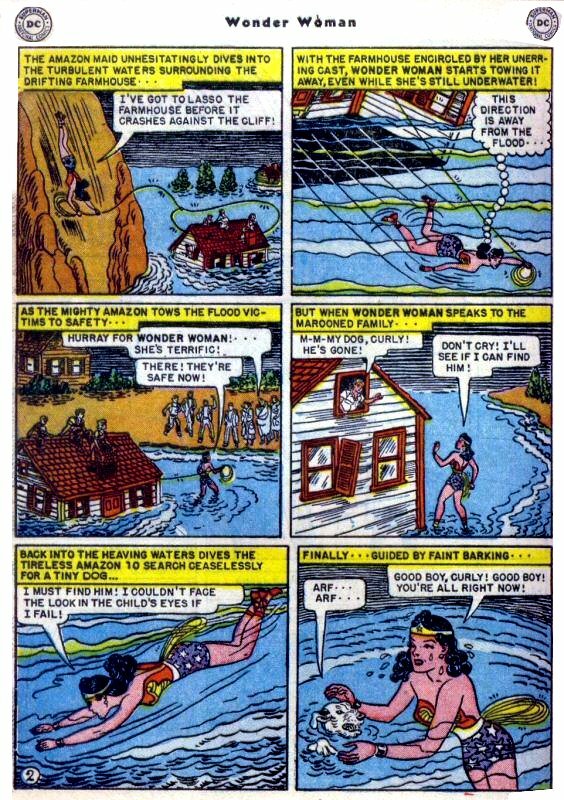 She asks to leave Paradise Island and join Wonder Woman’s in man’s world even though any amazon who sets foot in man’s world loses her immortality. 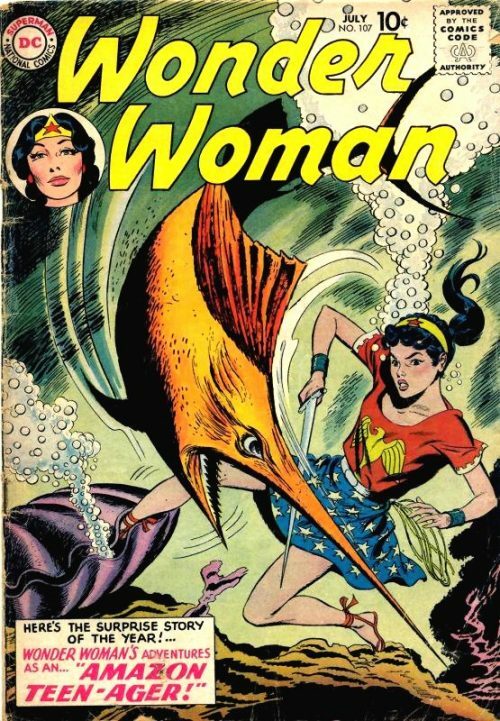 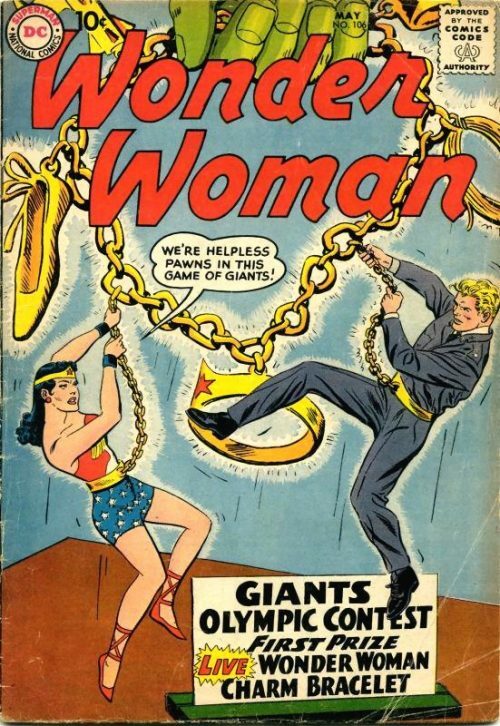 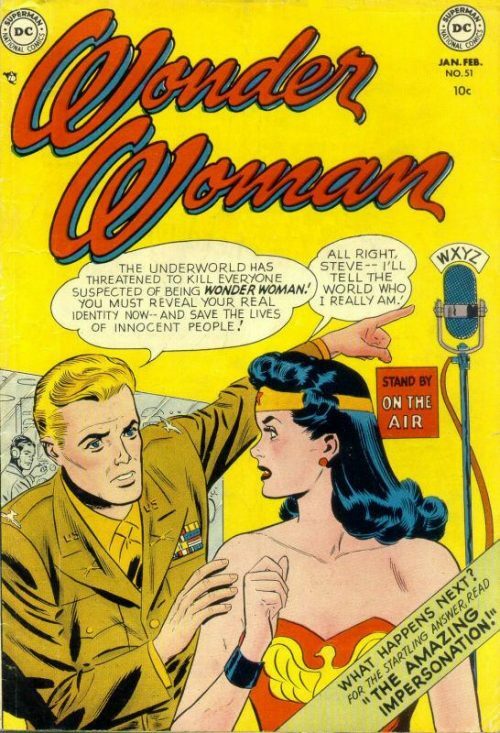 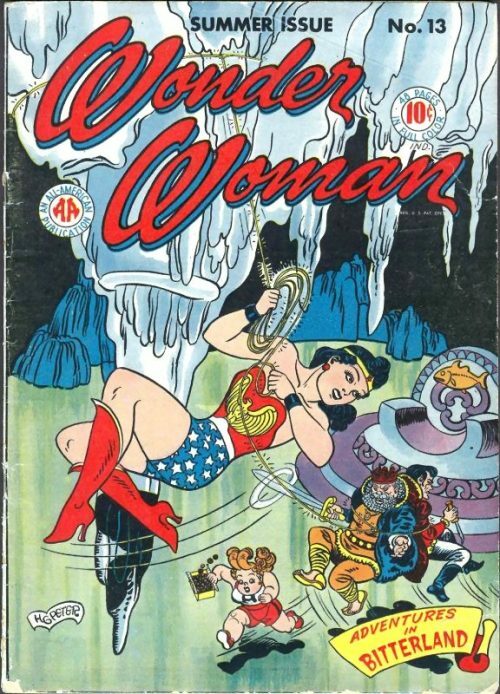 Wonder Woman must find a way to dissuade her. 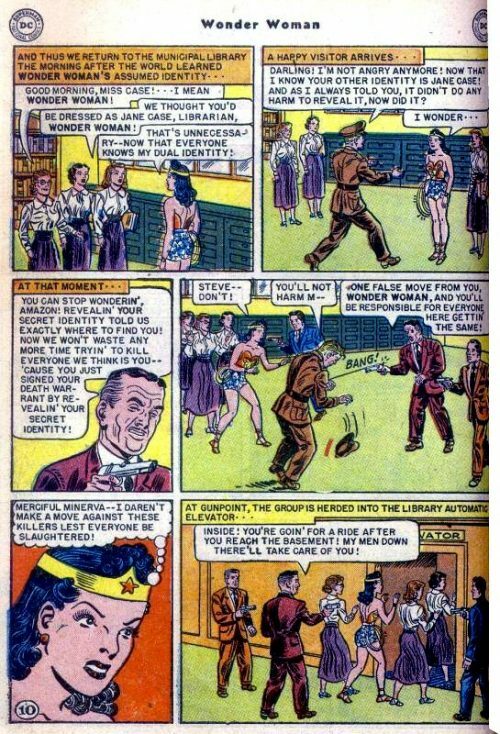 Wonder Woman goes to nursing school as a way to promote young women to go into nursing however the head of the school seems to have some grudge against Wonder Woman.